Yaakov Yisrael Dahan was murdered on July 1, 1924. He was a man who devoted all his energies and the best years of his life to saving the remnant of loyal Jews, and to promote peace with the veteran Arab residents of the Holy Land. Through his knowledge of politics and diplomacy, Dahan contributed much to crystallizing an independent position for Orthodox Jewry unaffiliated with the Zionist leadership. Read more about the murder of Dr. DeHaan in online book, "A Martyr's Message" by Emil MarmorsteinGood relations existed between the Jewish and Arab communities, and the leadership of the Orthodox Jewish community conducted themselves according to the principles of Judaism, never provoking their non-Jewish neighbors. The Arabs were very friendly and neighborly, and a spirit of mutual respect was typical. A great and unexpected opportunity presented itself in the form of Rabbi Yaakov Yisrael Dahan, who had embraced Judaism from a life of secularism, and had made his way to the Orthodox community of Jerusalem during those difficult days. He sensed the truth, and from then on never ceased to march with the great rabbi of Jerusalem, Rabbi Yosef Chaim Zonnenfeld, who wisely advised Dahan. Dahan established extensive contacts with many governmental authorities in Europe, including the English, and proceeded to carry out his work immediately. In no time at all he transformed the loyal Jewish community from a tiny one without any international recognition to a community standing up against the Zionist heretics. He and other members of the community represented the Orthodox Jews under the name of “Eida Haredis” (G-d-Fearing Community), and represented the position of the loyal Jewish community. It goes without saying that the Eida Haredis was accepted warmly among non-Jews, much more so than was the case with the Zionists – both because of the fact that the Eida Haredis represented traditional, authentic Judaism against Zionism that openly rejected Judaism in its entirety, and because of the fact that the Orthodox position made more sense in order to prevent bloodshed and promote harmony in Palestine. Rabbi Dahan then organized a delegation of Orthodox leaders to meet with Arab leaders headed by King Abdullah. The Jewish delegation was headed by Rabbi Zonnenfeld, and was welcomed by the Arabs like royalty. The king even gave them expensive gifts as a sign of his affection. Of course the Zionists were gritting their teeth when they learned of this event, and saw the possibility that all of their projects may end up collapsing in front of their very eyes. The Zionists began their attacks against the loyal Jewish community in general, and against Rabbi Dahan in particular. They slandered him with increasing brutality until they went so far as to call for his murder. In those days the G-d-fearing Jews were persecuted greatly by the Zionists, and whenever they ran into Dahan in the street they would insult him. However, Dahan never ceased his holy work on behalf of our rabbis. When the Zionists realized that their persecution of Dahan had no effect, they decided to kill him. In a plan approved by the leading Haganah Zionists a number of young Zionists encountered Rabbi Dahan as he left the Shaarei Zedek Hospital in Jerusalem. The Zionist Avraham Tahomi, may his name be obliterated, shot Dahan three times in the chest, and shortly thereafter Dahan expired, returning his soul to heaven. This murder was carried out with the approval of the Zionist leadership. Nevertheless, some seventy-eight years after that horrible day, there is still a community of Jews following in the authentic path, and refusing to bow to the Zionist idol. 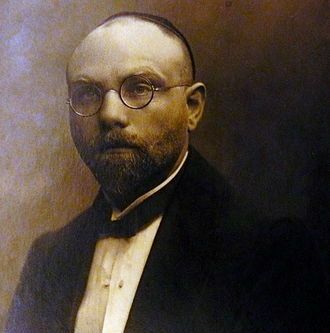 It is in large measure due to the selfless holy efforts of Yaakov Dahan, a martyr of his people who paved the way with self-sacrifice that there are still Jews who refuse to succumb to the Zionist regime of heretics despite the fact that the Zionists overpower the authentic Jews with their laws and power. It is in the merit of Yaakov Dahan that there are still Jews today throughout the world who stand and announce unflinchingly their unswerving loyalty to the countries in which they live, and that there are still Jews in this world who declare to the nations of world that the Zionists and their state have no link with Judaism or the Jewish People. His murder proved to every loyal Jew that the Zionists appearing on the scene were no friends of the Jewish People, but were murderers who hated Judaism, something that was the beginning of the opportunity of recognizing the enemy. On the most recent anniversary of Dahan’s murder we remembered the good work of Rabbi Yaakov Yisrael Dahan on behalf of authentic Judaism in his war against Zionism and its wicked plans. Let us learn from his work to strengthen our resolve and dedication in refusing to bow to the Zionist idol, and to pray for divine providence to redeem the world.